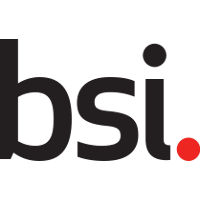 BSI, the business standards company, today launches PAS 7000, a universally applicable supply chain information standard for suppliers and buyers at organizations of all sizes around the globe. PAS 7000 Supply Chain Risk Management- Supplier prequalification helps answer three key questions relating to any organization’s supply chain partners: Who are they? Where are they? Can they be relied upon? The standard draws on the collective expertise of 240 professionals drawn from global industry associations and organizations, and it addresses product, process and behavioural criteria for supplier prequalification. PAS 7000 has been created in response to industry demand, with three quarters of executives considering supply chain risk management important or very important*. As supply chains increasingly span continents, and brands become ever more exposed due to the demand for increased transparency, the challenges for procurement teams to assess the suitability of suppliers increases. 63% of EMEA companies have experienced disruption to their value chain due to unpredictable events beyond their control in the last 12 months, at an average cost of £449,525 per incident per company**.